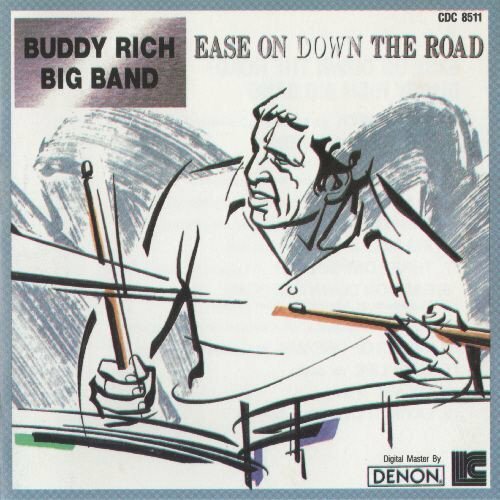 This single CD by the Buddy Rich big band has seven of the eight selections from The Roar of '74 and five of the eight numbers from a slightly later Groove Merchant CD. The earlier set features tenor saxophonist Pat LaBarbera among the soloists while the later band (which has completely different personnel) includes Steve Marcus (soprano and tenor) and tenorman Bob Mintzer among the key players. Highlights include Don Menza's "Time Check," "Nuttville," "Senator Sam," "Three Day Sucker," and a medley from "Tommy." The reissue itself is barebones but the music is often quite intriguing, making this a decent budget release. Tracks 1 to 6 recorded October, 1973, New York. Tracks 7 to 11 recorded June, 1974, New York. Tracks 12 and 13 unknown.